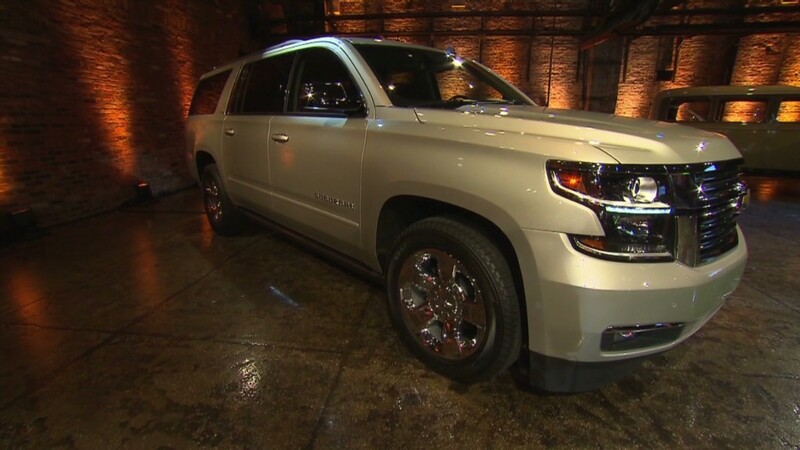 General Motors unveiled a completely redesigned version of its Cadillac Escalade Monday night in New York City. The luxury SUV shares most of its engineering and some of its design with the Chevrolet Suburban and GMC Yukon. GM (GM) released new versions of those SUVs last month. 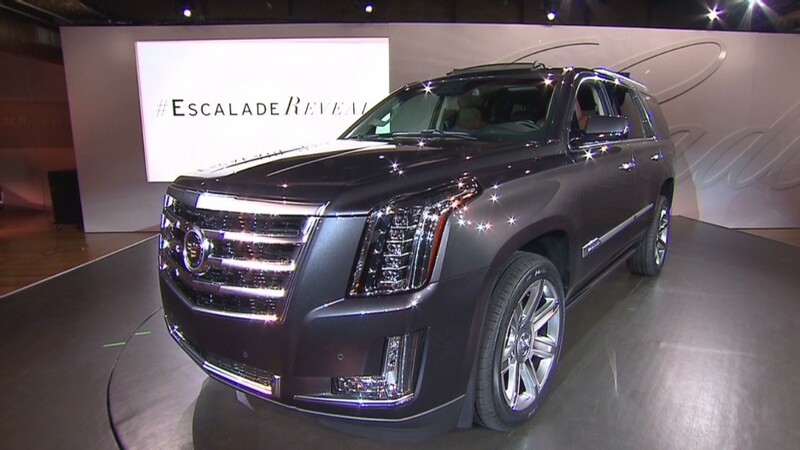 "We wanted a design that was more sophisticated in its execution," Ed Welburn, vice president of design for GM, said of the new Escalade. The new design's headlights are composed entirely of LEDs with individual crystal lenses. It will come with standard 20-inch wheels (22-inch wheels will be available as an option). The big SUV will be powered by a standard 420-horsepower 6.2-liter V8. While it's more powerful than the current Escalade engine, GM also promises better fuel economy, although official EPA estimates are not yet available. Escalades are some of the most popular targets of criminals, which the redesign seeks to combat. The new Escalade has intrusion sensors, glass breakage sensors and inclination sensors that can detect when the vehicle is being lifted or towed. But the Escalade is fighting to regain its dominance in a small and shrinking market. Luxury SUVs are popular, but large SUVs currently make up only 8% of all luxury SUV sales, according to Jessica Caldwell, an industry analyst with Edmunds.com. A decade ago, they made up made up 27%. Caldwell noted that the Escalade also faces more competition than its non-luxury siblings, the Tahoe and Yukon, as there are far more large luxury SUVs on the market, including the Land Rover Range Rover, Toyota's (TM) Lexus LX and Ford's (F) Lincoln Navigator. Still, vehicles like the Escalade are extremely profitable for automakers, as they share engineering with other models. The new Escalade will enter full production in the first quarter of 2014. Introduced in 1998, the Escalade is now the oldest name still in the Cadillac line-up. In fact, it's the only name, as all other Cadillacs are now identified by three letters, such as SRX, CTS and XTS.